Hanging planters work both indoors and out, with garden annuals and with evergreens. 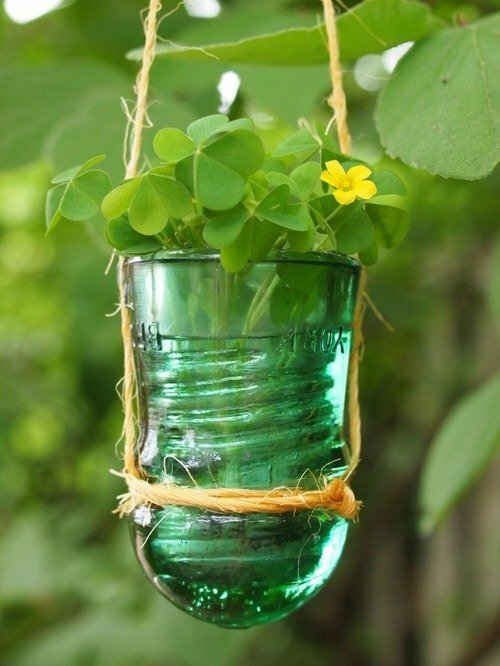 Creating your own DIY hanging planters is easy, and it adds character to your home or garden by giving you a unique container. 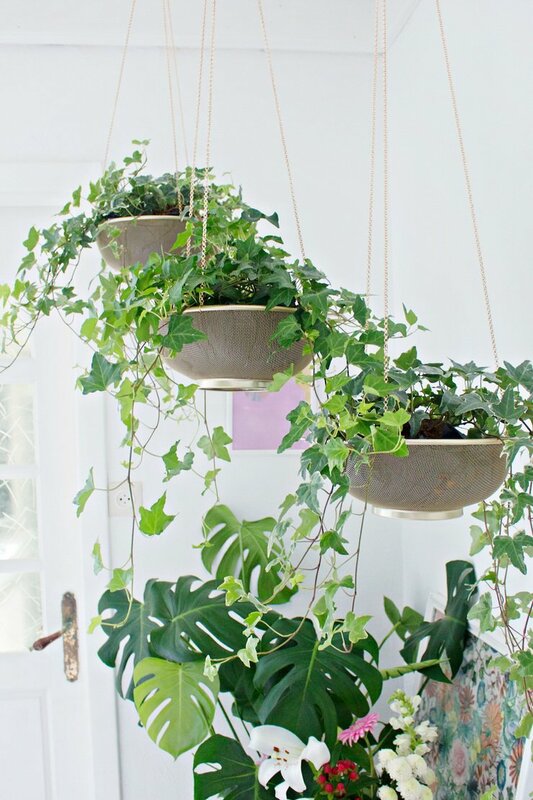 Keep in mind that indoor hanging planters can be heavy, so please use your judgement in choosing hanging materials, and in securing them to a structure. Other than that, anything that holds soil and is light enough to hang is fair game! Here are some DIY tutorials, inspirational photos and ideas to get you started. These geometric wooden DIY hanging planters are from ‘Little Yellow Wheelbarrow‘. This is a knock off of a much more expensive planter they created for a fraction of what it would cost you. Detailed step by step instructions and photos on how to make the planter and the hanger. 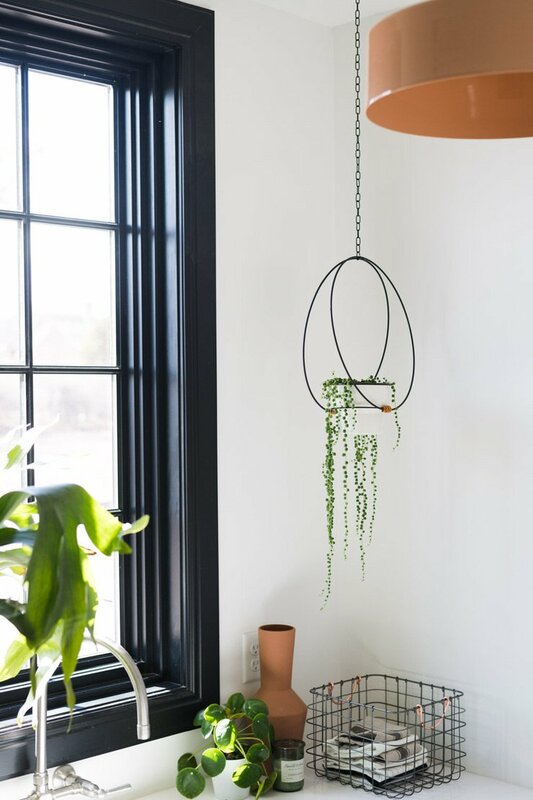 ‘Mandi at ‘Vintage Revivals‘ always makes the most fresh and fun projects, and this DIY indoor hanging planter made from floral hoops are no exception. How cool is this? Easy directions. 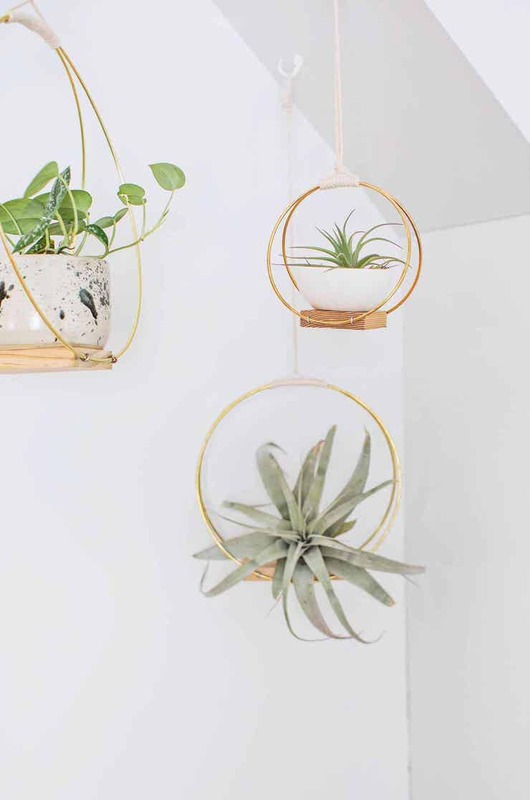 Here is another DIY hanging planter made from hoops or rings from ‘A Beautiful Mess‘. Love the Mid Century Modern vibe here! Turn an old pot and some leather cording into a chic hanging wall planter. Seriously, some spray paint and some leather! From ‘Love Create Celebrate‘. ‘Lana Red Studio‘ took plain metal sifters, spray painted them, then hung them as amazing indoor hanging planters. They show you exactly how to line the planters to keep the soil in, and even tips on how to water them. 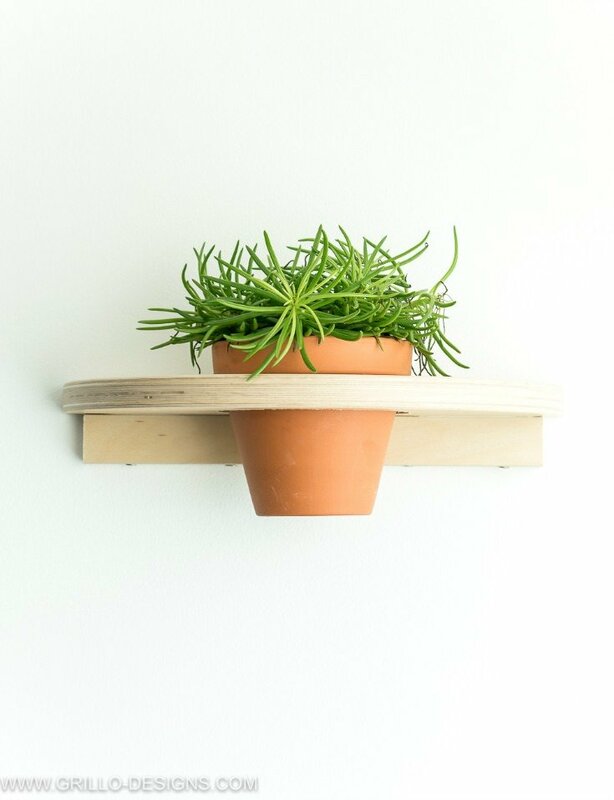 This hanging wall planter is an Ikea hack from ‘Grillo Designs‘. She took their inexpensive wooden stool, and turned it into this neat planter! 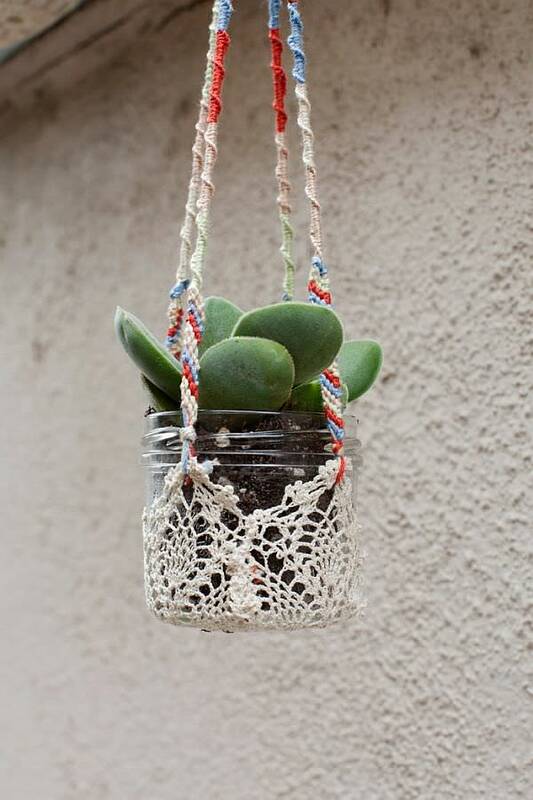 You can find the instructions for this ceramic DIY hanging planter at Drifter and the Gypsy. Loving the Boho feel of this planter idea! 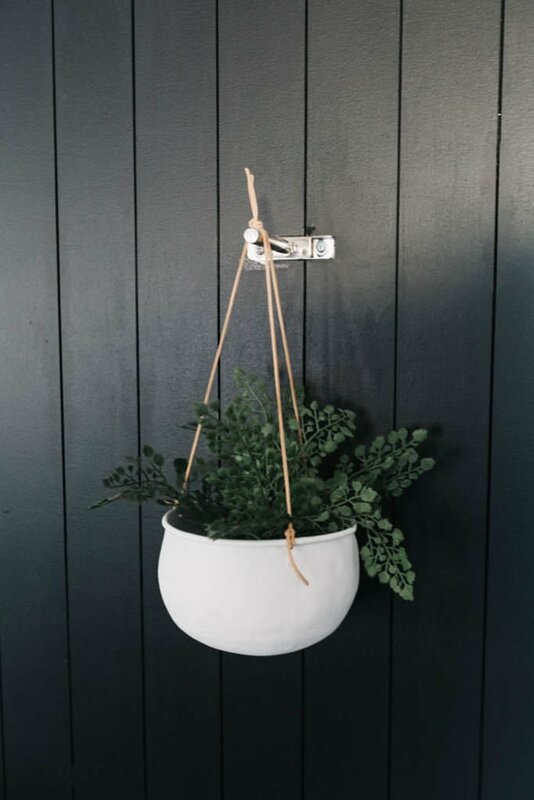 If you loved our post on garden lighting using insulators, you’re going to love this hanging planter idea from ‘Little Corner‘. Pretty simple! 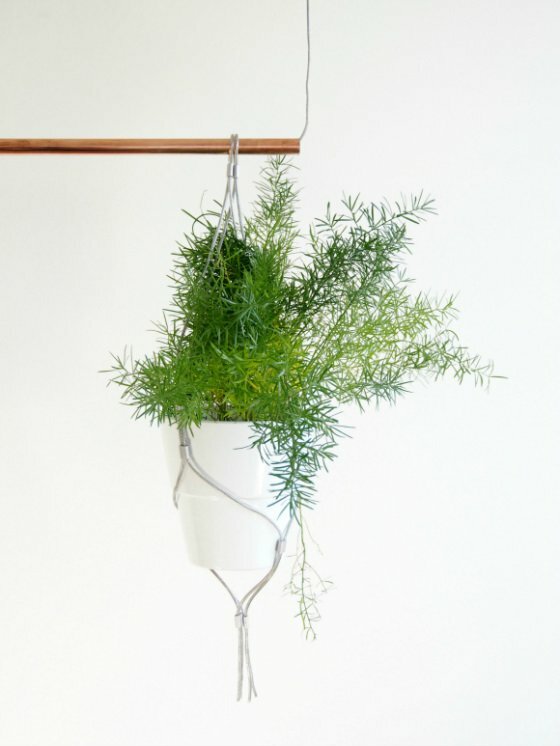 ‘Eclectic Trends‘ offers us this great tutorial on making this contemporary indoor hanging planter with copper pipe and wire. Love the creativity! 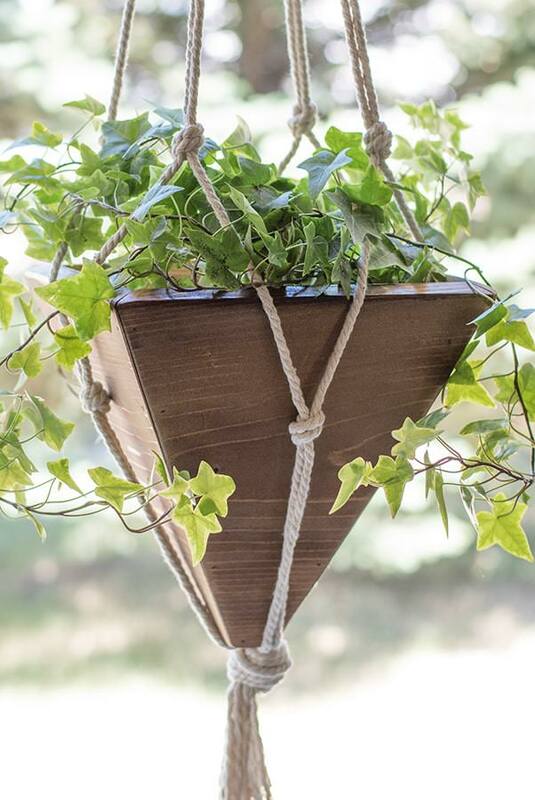 This hanging planter project both recycles, which makes is cool modern, and uses a touch of the past. Love it’s originality. Find the DIY instructions at ‘HomeDIT‘. 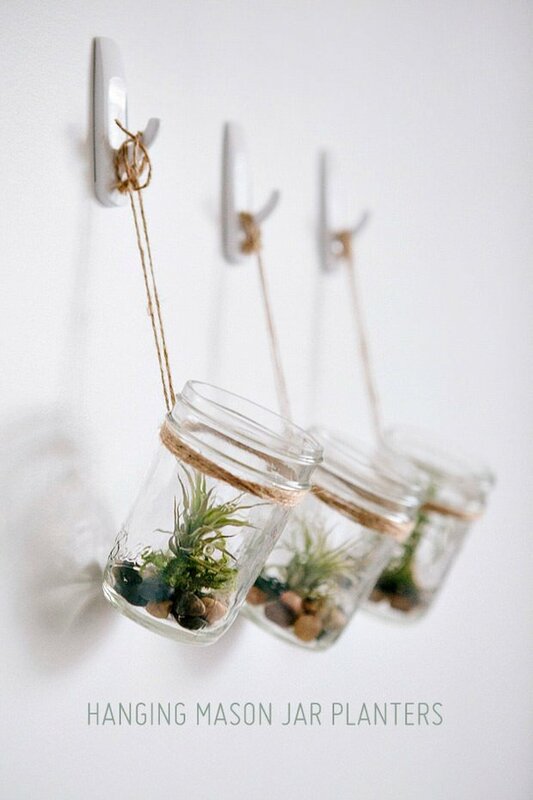 One of my favorites in this post are these DIY mason jar hanging wall planters! ‘Oh So Very Pretty‘ has the complete instructions. See more mason jar ideas from us here. 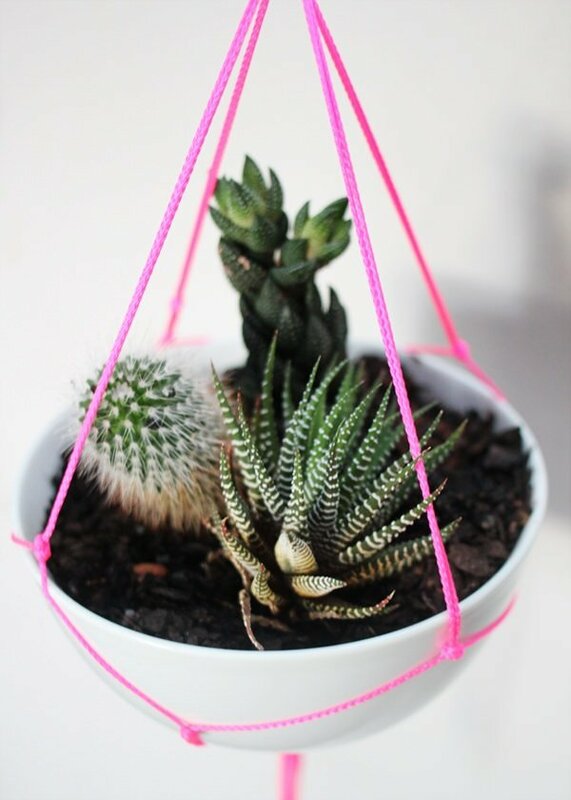 So create some DIY indoor hanging planters for your garden! Don’t feel like you have to limit them to the front porch though. 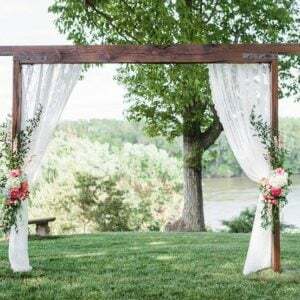 Hang them in trees, off brackets on fence posts, or from the top of arbors and decks. Let us know, which one is your favorite? 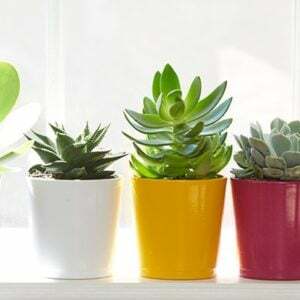 Now jump on over to our posts on Sedum Projects and DIY Succulent Containers, and Hanging Flower Basket Secrets! All lovely ideas. Especially love the doily plant holder. Thanks for posting!